I don?t know about you, but I?ve been taking my sweet ol? time easing into 2018! After our family?s holiday adventures, I knew I needed to slow down and approach the first week of the year rather gently. This meant extra-cozy evenings spent baking cookies, cancelling morning workout classes, nighttime lounge sessions watching hockey, and sleeping in as long as the kids would allow (spoiler: not very long, lol). Now that things are settling back into a routine, I?m looking for a little healthy recipe inspo and thought I?d share what I have in mind. Please let me know below if there?s anything I didn?t mention here that you plan to make in the coming weeks! 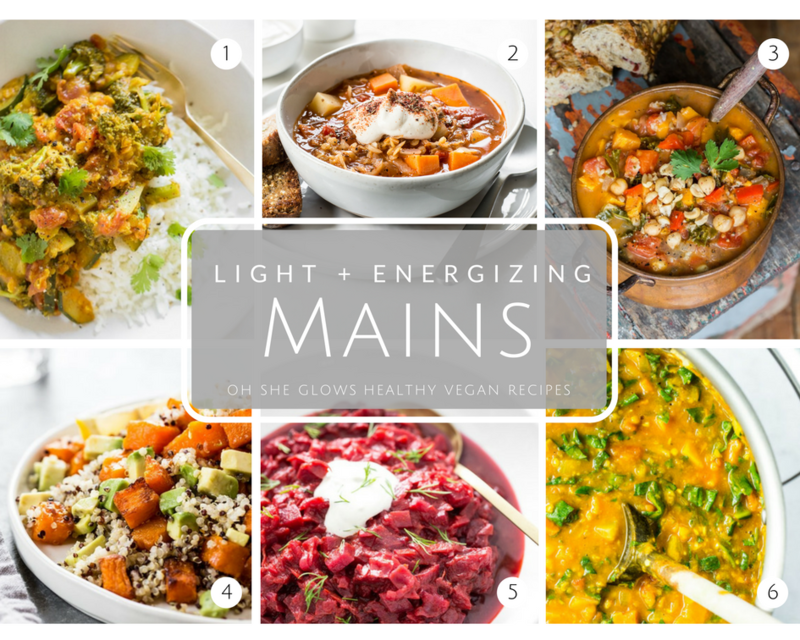 I hope this post can serve as healthy plant-powered recipe inspiration for your start to the new year as well. Oh, and in case you missed it, don?t forget to check out my first recipe post of 2018! It?s a refreshing one!